Do you ever notice those sweet mini peppers in the produce section? You know the ones– small, colorful, enticing. They’re so cute and pretty and perfect looking! But what the heck do you use them for? Wonder no more! 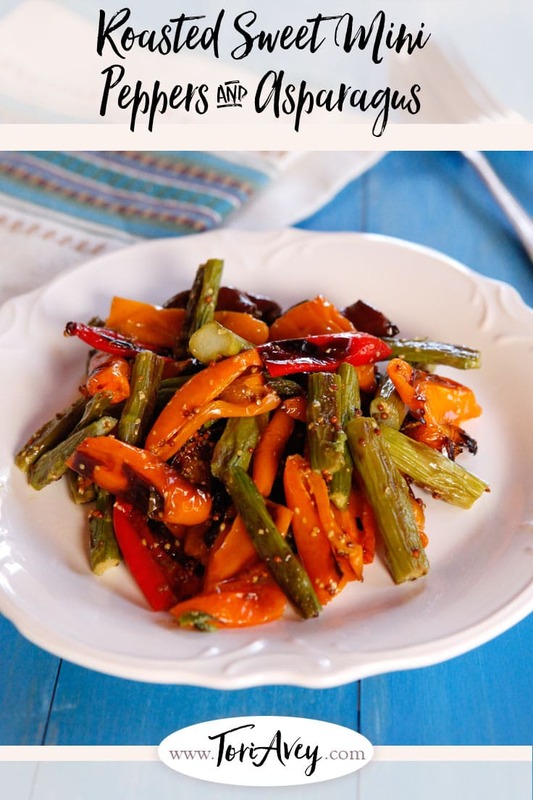 This simple side dish is loaded with flavor and takes just a little time to prepare. 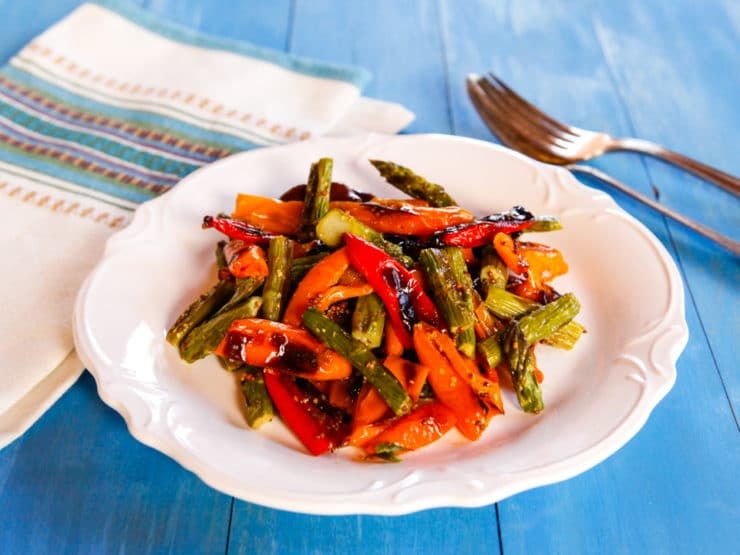 Sweet mini peppers and asparagus pieces are roasted alongside one another, then dressed simply with white wine vinegar and whole grain mustard. 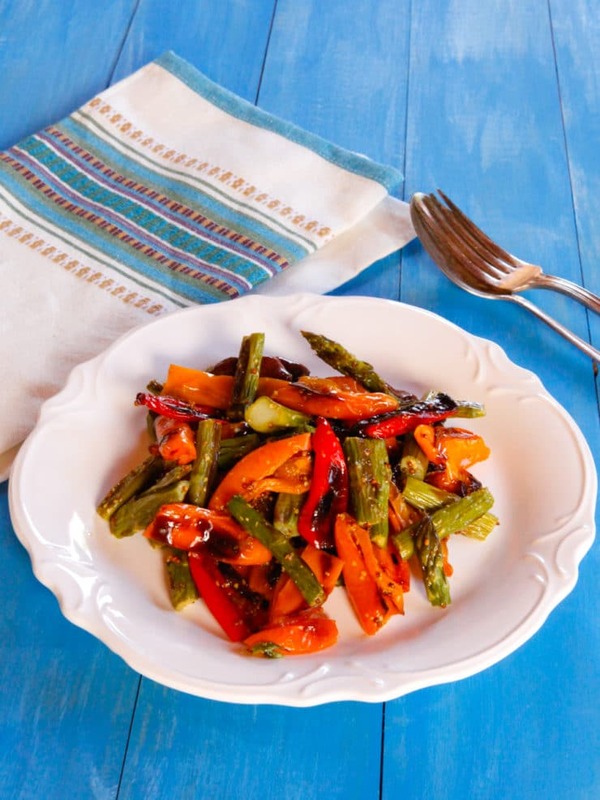 Roasting brings out the natural sweetness of both the peppers and the asparagus, so they don’t need a lot of dressing up– they’re pretty delicious as-is. This dish can be served warm, at room temperature, or chilled. Add some goat cheese or feta crumbles and put it on top of fresh greens to stretch the ingredients. The cheese takes it to another level of delish. Enjoy! 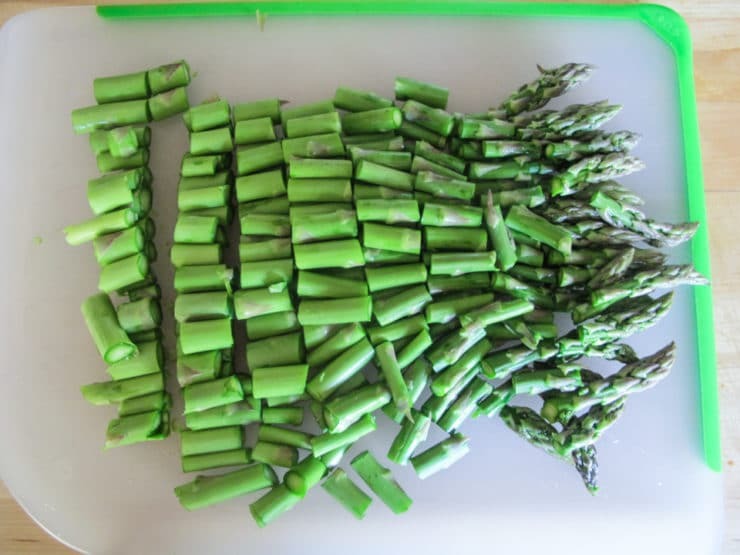 Preheat oven to 425 degrees F. Cut the tough ends off the asparagus spears, then slice them into 1-inch pieces. 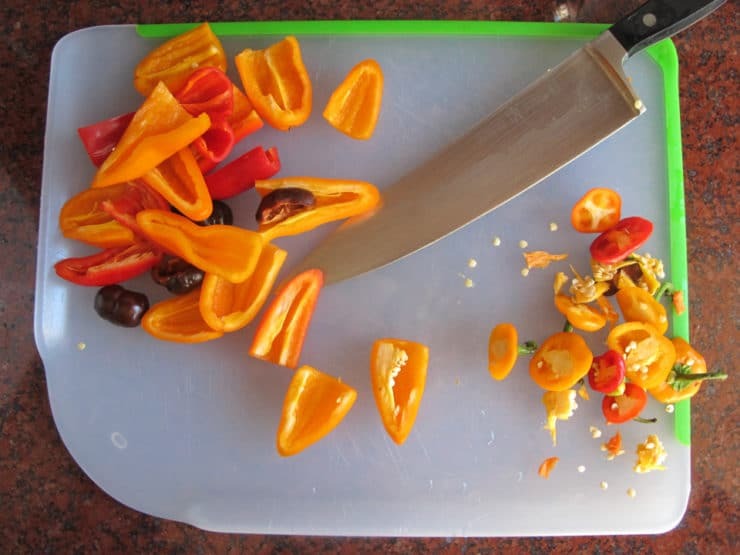 Cut the stems off of the mini peppers, cut them in half lengthwise, and scoop out the seeds. Discard the seeds and stems. 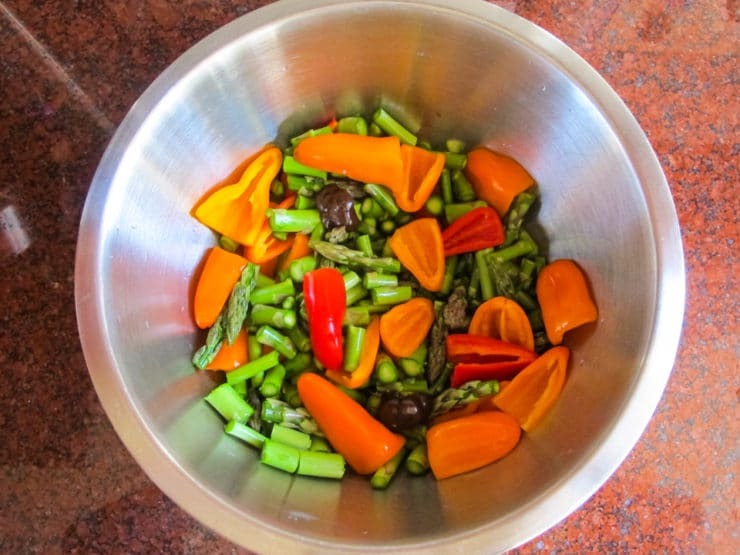 Place the asparagus and peppers into a large mixing bowl with 1 1/2 tbsp extra virgin olive oil. Toss the veggies until they are evenly coated with oil. 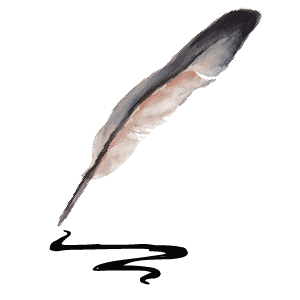 Spray a baking sheet with nonstick cooking oil spray, or lightly brush with olive oil. 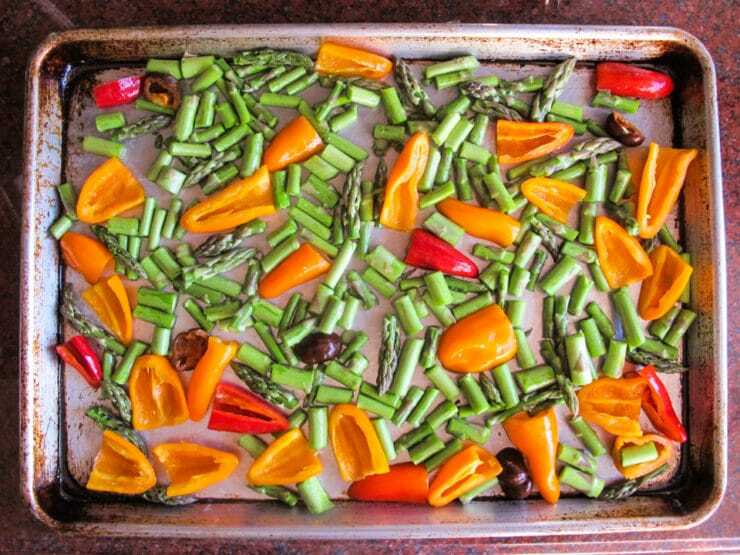 Spread the vegetables out on the baking sheet, making sure each vegetable piece is touching the sheet to ensure even roasting. Place in the oven and roast for 20-25 minutes, until the asparagus is tender and the peppers are soft, collapsing, and blackening in places. Remove from oven. Pour the roasted vegetables back into the mixing bowl and toss with 1 1/2 tsp whole grain Dijon mustard and 1 1/2 tsp white wine vinegar. Add salt to taste. Medley can be served as a warm side dish, at room temperature, or chilled depending on preference. Can I cook this a day ahead and reheat in a small Crockpot? Or, would it be best just to serve this yummy recipe chilled? You can reheat it, no problem. There seems to be small dark halved olives??? in several of the pictures but nothing is noted in the recipe. Please clarify! It sounds delicious! Hi Rosette, Tori’s assistant Ashley here. You’re absolutely right! In an earlier version of the recipe (and when we took the photos) we experimented with adding olives, but they didn’t make the final cut. Sorry for any confusion! The recipe is correct as written. Thank you for this DELICIOUS recipe! I made it this weekend for guests and it was a huge hit! I bought the peppers today then looked for a recipe, this looks ideal, tomorrow night is go!!. Did I miss it? Roast at what temp? It’s at the beginning of the recipe instructions – preheat oven to 425 degrees F. Delicious!!! I roasted the veggies on the grill for extra complexity. The colors are out of this world too! Thanks Tori. As always, Tori comes through with another winning recipe! I haven’t yet tried it, but I have green beans in the house. Am wondering if this would work with green beans? If you mean replacing the asparagus with green beans, yes they will work just fine. Enjoy! Beautiful looking and tasting, and a doddle to make. Had some leftover roasted garlic, so threw that in too. I fill them with feta and roast them as a feature veg, or on a puff pastry tart. They are also wonderful stuffed with cream cheese or. Quinoa or a meat and baked. Awesome idea! I start to run out of side dishes for dinner company. This is a great addition, thanks. I bought a bag of them, and have added them to lots of dishes, and to improve leftovers. They keep really well. Oh my goodness! 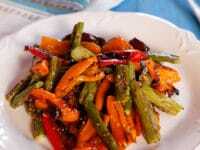 I love asparagus and peppers. This looks delicious. Thank you for a new spin on some favorites. Another winner! Would this work with regular size peppers also? I love asparagus in just about anything, but I don’t think I’ve ever tried it with Dijon. Super psyched to try this!